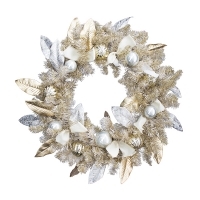 Snowy or frosted pine garlands, evergreen or cedar garlands, lighted garlands, fur garlands, sparkly garlands or garlands with berries: Décors Véronneau has it all and more! 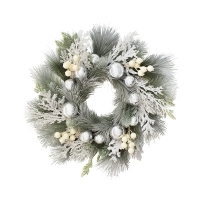 If a Christmas wreath is what you need, you’ll find the perfect one among our selection of decorated, lighted or silver wreaths in evergreen, fir or pine. 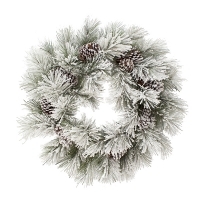 We also offer greenery made from branches, with shiny leaves, red and green pointsettias, with bells, pinecones and berries and even deer heads.